Have you ever wanted to serve your country, but you didn’t quite know how to go about doing it? Have you ever wanted to make a difference in the community, or to help prepare our next generation of leaders? You can do all of those things and more as a Senior Member of Civil Air Patrol! 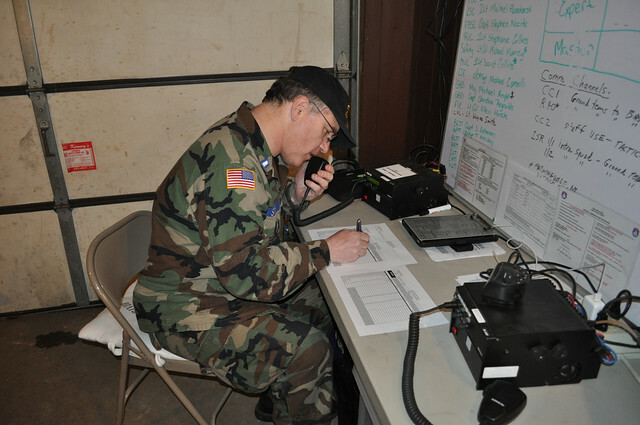 Though Civil Air Patrol is known for its flying missions, CAP Senior Members do so much more than just fly. In fact, less than a fifth of all CAP members are pilots or aircrew members. CAP adult members come from all walks of life. Some are doctors, nurses, paramedics, or other medical professionals. Others are lawyers, paralegals, accountants, computer programmers, and other business professionals and executives. Mechanics, cooks, teachers, police officers, clergy, parents, really just about any career or background can be useful to and found in the ranks of the CAP adult membership. CAP supports a variety of missions that require adults from all walks of life that you may not know about. As a Senior Member, you will be carrying on a tradition of public service that began in 1941, barely a week before the attack on Pearl Harbor. CAP’s mission then was much more limited than today, and our members are involved in a wide range of activities. Here are just a few of them. In emergency services and operations we not only need aircrew members, but also ground team members to aid in the rescue of survivors or to assess damage after a disaster. CAP needs communications personnel to relay critical messages when there is limited or no telephone support. Administrative staff, financial managers, logistics and supply personnel are needed to document missions and get personnel critical supplies and equipment in the field that they need to conduct missions. CAP is active in disaster relief operations, especially in areas that are frequently struck by tornadoes and hurricanes. 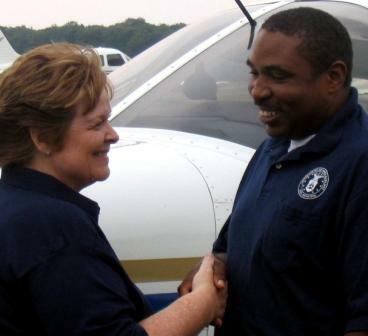 CAP aircrews and ground personnel provide transportation for cargo and officials, aerial imagery to aid emergency managers in assessing damage, and donations of personnel and equipment to local, state and federal disaster relief organizations during times of need. In 2004, several hurricanes hit the southeast coast of the United States, with Florida being the worst damaged; CAP was instrumental in providing help to affected areas. CAP also needs adults to support the cadet program. CAP has over 26,000 cadets across the country that need mentors willing to help and moral and ethical decision making. In today’s world we need good people who are willing to step up and help provide a healthy, drug-free environment to develop tomorrow’s leaders. Many former cadets have gone into the military, government jobs, or private sector employment where they can and do make a difference, and really excel. There are many military general officers that were once CAP cadets. Senators and congressman, CEOs and corporate executives, and others credit their success to CAP and the adult members who mentored guided and supported them. The cadet program provides young adults between the ages of 12 and 21 with a well-rounded program of leadership, aerospace education and physical fitness. To fulfill the mission of educating America’s citizens about the importance of air and space power for our country, CAP needs adults for its aerospace education program and offers a myriad of aerospace programs, products, and services to educators and aerospace enthusiasts. CAP maintains integrated internal and external aerospace education programs. Internally, CAP members, both adults and cadets, follow a rigorous program to learn about aviation and aerospace principles. Aerospace Education Officers (AEOs) attend regional AEO workshops to learn how to promote aerospace education throughout their communities. CAP cadets have to pass aerospace tests and achievements to progress in rank and promotion. Externally, CAP reaches out to the general public through a special program for teachers of all grade levels. Through this program, CAP provides free classroom materials and lesson plans for aerospace education. CAP offers national standards-based educational products, including textbooks, workbooks, and hands-on activity booklets. Teachers can get free classroom materials and lesson plans, awards programs, and opportunities to participate in workshops and the Fly-A-Teacher program by joining as a CAP Aerospace Education Member (AEM). Essentially, there is a place for any interested adult to join and help CAP. For more information about the CAP adult program, visit the Adults FAQ page.